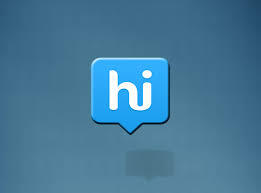 Hike messenger is the new fastest growing instant messaging application in India. It is created by Indians, for Indians and they know pretty well how to reach out to the Indians when it comes to marketing. Hike offers monetary incentives for Hike download and using their applications and are marketing the heck out of their app on different media using the venture funding they’ve received and that’s why they currently hold the a position in the Top 5 Apps in Google marketplace for most downloaded apps in India. As a matter of fact, Hike just hit 20 million users this June! Which is a huge number for such a young application. Currently, Hike is supoorted on 2G/3G/4G and wifi networks and that’s pretty sweet. With the growing number of Hike users, I’m sure that you don’t want to be left behind since a lot of your friends are using Hike and maybe even receive free mobile recharges for doing so. However, if you do not want to install Hike on your mobile device or maybe your mobile is not an android, iOS, Windows powered phone, you can still enjoy the perks of using Hike with your desktop computer. Unfortunately, Hike does not offers any official desktop application but you can still do it using emulators like Bluestacks and Xpadian. How to download Hike messenger for PC? Download bluestacks from their official installer page. Install it. It’s a straightforward process, like you would install any other application. Once installed, search for Hike messenger. Click on the first app you find and install it as you would on your mobile device. You will have to verify your phone number before you can start using Hike on your computer. This can be done by receiving an SMS on your mobile phone and entering the verification code you receive on Hike. Well, that’s pretty much all you need to do to download and run Hike Messenger on your PC.